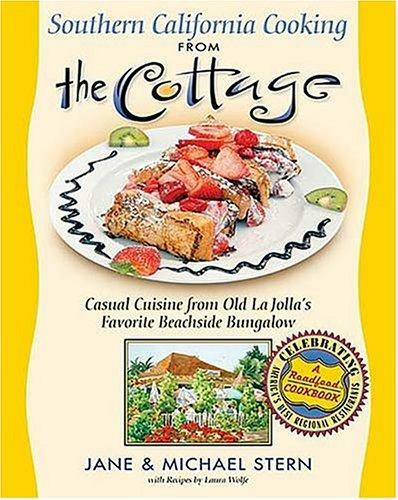 Okay, I'm not really there but one of my favorite cookbooks is Southern California Cooking from The Cottage by Jane and Michael Stern and Laura Wolfe and it makes me feel like I'm there. I whipped up this breakfast cake for overnight guests from a visiting church choir. I adore this cookbook and I remember purchasing it because of all the great breakfast recipes and I think it was the first cookbook I sat down and read like a book. It has great stories about how the restaurant was purchased by the Wolfe's mixed with surfing and restaurant memories. I have several starred recipes with penciled in notes about when I made each and how it turned out. The cookbook is divided into 10 typical sections (breakfast, breakfast breads, soups, salads, sandwiches, dressings and sauces, sides, dinner, and desserts) but the recipes that fill each are extraordinarily yummy! We love breakfast at our house and I could easily make every single recipe from the two breakfast sections. Everything from Country French Toast, Breakfast Chiliquiles, 3 different eggs bene's, to Laura's Meatloaf Hash which uses leftover meatloaf. I've not made that one but now that I have several sources for good, local beef it could happen. The sandwich section is my second favorite part of this book with recipes like the B.L.A.T (we love avocado here too), the Eggplant Panini, and the Brie, Avocado and Sun-Dried Tomato Melt. Yum! Who's ready for lunch?? 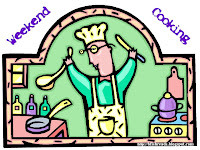 Weekend Cooking is hosted at Beth Fish Reads-click there to find many more food-related posts. Some day I hope to take a food journey to La Jolla so I can sit at the cottage and enjoy the casual ambiance.I might even have a Sam Smith Organic Lager listed on their drink menu. Click here to see The Cottage website.